A trick that I've been doing to keep up a good writing pace is to copy and paste two chaps at a time, like your chaps 15 & 16. Create a new document and concentrate on those two chaps. Keep doing this until you're finished! It really helps me move along quickly. Here from Alex's blog. FWIW, your post really resonated with me. Especially the part about taking a month to edit a chapter. 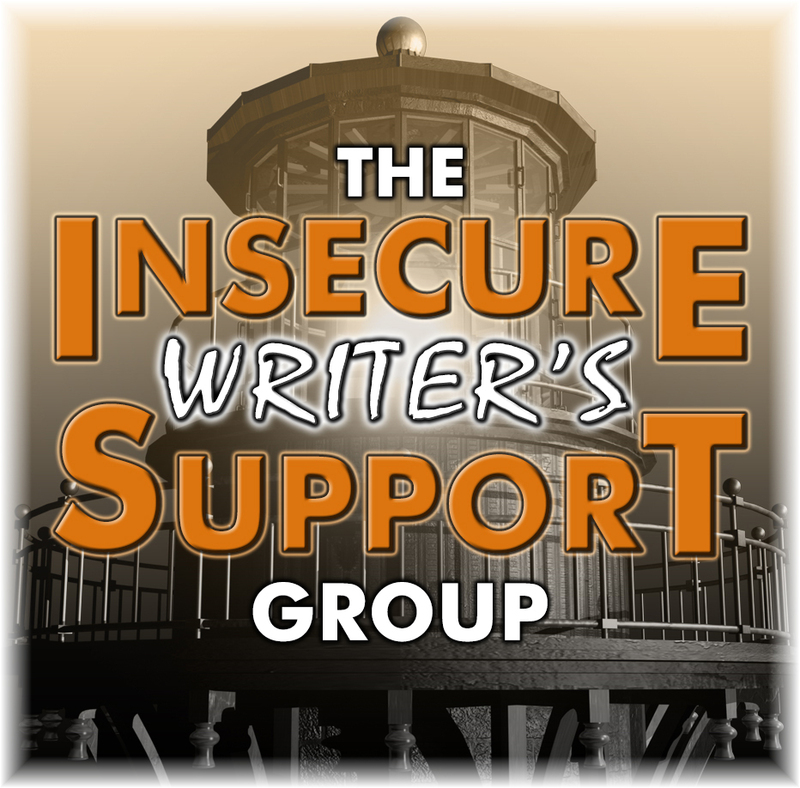 I've been there before, and when I approached members of my writer's group with it, they acted like I spoke a foreign language. You know, that doe in the headlights sort of look, whiled shaking their heads, etc. It's nice to know I'm not the only one who struggles with such things. Maybe you're stuck on the chapter because you don't like the scenes, or they may not be necessary to propel the plot forward. Sometimes the unconscious mind tends to work things out much sooner than our conscious counterpart. We just don't listen to the signals. FWIW, I just finished editing my novel, and holy tedious work, Bat Man! I don't envy you, LOL. Now, I'm forwarding it to a copy editor before publishing it. Wishing you the best of luck on your editing journey. Keep at it, the rest will come. P.S. I'm now following you. Enjoyed your post. There's been a few times when I've avoided working on a particular chapter because I know it's going to be hard, so I hear you. Sometimes it's because deep down I know the whole chapter needs to be redone differently. Just push through it and you'll figure it out. It must be hard not knowing what's holding you back from finishing that chapter. :-( I've never written a love scene (or make-out scene LOL). Not sure I'd be able to pull it off. Maybe you need a fresh set of eyes on that chapter to help you? Sounds like you may need to move on to something else and come back to this. Been there. On my last novel, I had some edits I was dreading, but as it turns out, they were way easy to implement and came together faster than I could have imagined. I was also at a good place in life and my family was being hugely supportive, so that makes a difference. Get some sunshine, eh? And then take the pressure off. It will happen when you're ready. Maybe you're just feeling a bit burnt out. Have you tried working on a different chapter with plans on coming back to this one? Good luck figuring it out. And don't beat yourself up too much. It's hard to stay motivated and write when you work at a job too. Maybe just skip the revisions and move on, knowing that they aren't that hard and you can do them another day. Just an idea. Tiredness is the greatest enemy, especially if you're working all day. But what's the alternative? The artist's garret? Move on to something else. Come back to that chapter after a few weeks. I am going to join the choir, move on and come back to this chapter later. It sounds like the inertia is taking a toll on your motivation. Sometimes its best to put the problem on the back burner and let you mind mull it over while you work on other things. I've been caught in a repeat loop myself a little bit here lately. Here's hoping we both break through and move forward again soon! When I can't write a certain piece - a scene or a chapter or a short story - I found over time that it is my subconsciousness telling me that something doesn't work there. Maybe you need fresh eyes to see the problem. Or a distance in terms of time. Maybe putting it away for a few months would help. Stuck is a bummer. I hope you find your way through it soon. Sounds like several good ideas have already been offered. Best of luck. Why is it that what seemed easy at the beginning turns into a quagmire? Maybe we just can't get it down the way we had it so "perfect" in our minds. Good luck. I'm kind of at the same place I was last month as well. Keep making bad decisions in terms of staying up too late and letting free time slip away. Hopefully, I can make a change this month. It's time. "Except maybe I think I've used up every way I can possibly describe a kiss." HAHA! Oh my gosh...I have this problem every time I have to describe a kiss or...intimacy. It gets harder and harder to keep it fresh and sounding new. Hi, I was hopping around on the A to Z challenge and I took a mini break, popped over to Alex’a blog to say hi, ended up visiting some other friends who aren’t participating this year and somehow I landed here. 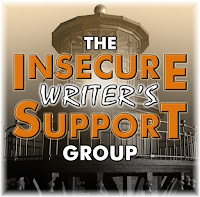 Your IWSG issue really resonated with me because I’ve suffered the same problem. By now my ten cents isn’t worth the dime because I see everyone’s already suggested the best advice I had — leave the chapter for a while and come back to it. Often the chapters we think will need the least amount of time durIng revisions end up requiring a lot of our time and effort. Sometines they even need a complete rewrite. Other times if we skip it and work on something else, while working on other scenes, the answer comes to us like Magic. The other idea I had was recommended by someone else, as well — get a fresh pair of eyes to take a look at your chapter, a beta reader or crit partner or a few and see what advice they have for revisions. I’m glad I found your blog. Not just because I’m eager to become friends, (that also) but I learned something new in the comments (copy +paste two scenes into a doc & work them until they’re complete) I like that idea. Good luck on your chapter and next blog post.